After Shiraz Balolia (President of Grizzly Industrial) won the F-Open Division at the 2013 Berger Southwest Long Range Nationals, folks wanted to know more about Shiraz’s match-winning .300 Winchester Short Magnum (WSM) rifle. That gun is a great piece of work, we can assure you. 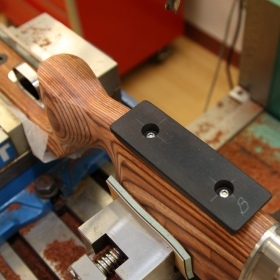 The Masterclass stock was extensively customized by Shiraz himself, who is a talented wood-worker (as well as a superb F-Class trigger-puller). CLICK PHOTO to see large “centerfold” shot of rifle. 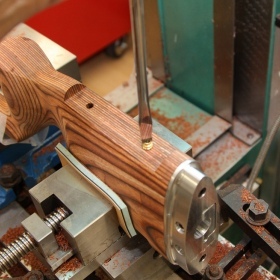 The rifle features a BAT Machine ‘M’ action, with a 32″, 1:10″-twist Bartlein barrel. Metal work was done by Gordy Gritters. The scope is a March 10-60x52mm, which sits on a +20 MOA angled rail. The primary stockwork, including fitting of the adjustable cheek-piece and buttplate, was done by Alex Sitman of Masterclass Stocks. 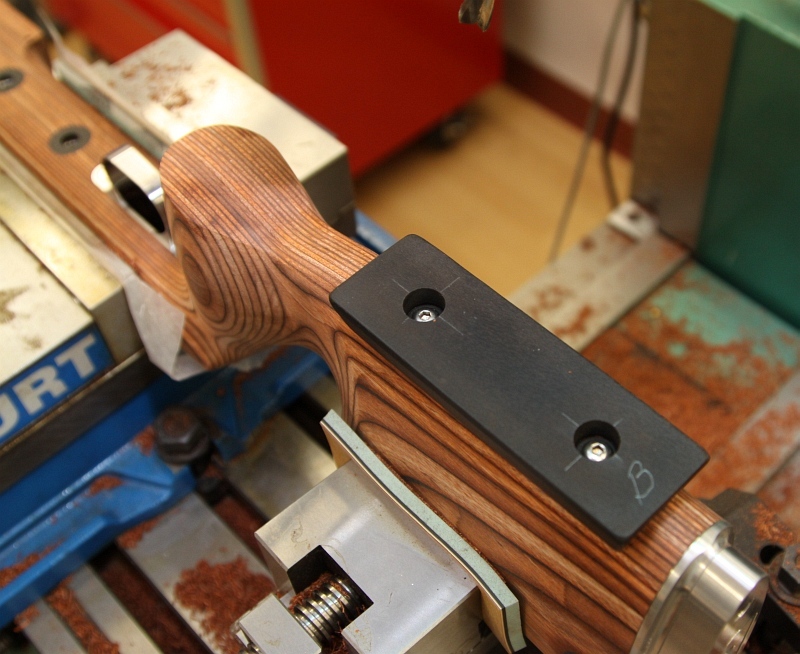 Shiraz customized the stock with finger grooves, fore-end channel, and a bottom rear slide. Shiraz did the final stock finishing as well. Q: Is the .300 WSM the “next big thing” in F-Open Competition? Shiraz: The .300 WSM takes a bit to get used to. With more powder you have a bigger bang next to your head, plus you have to deal with the mule kick. My gun recoils so hard that it was coming to rest down on the neighbor’s target. I had to be careful about not cross-firing. Once you get these behind you it can be a very accurate caliber to shoot because of the great .30 cal bullet choices. There were about five .300 magnums in Phoenix, but only one in the top ten. You still have to read the wind! Q: What’s your match load for the .300 WSM? Shiraz: I use Norma brass with turned necks. At the Berger SW Nationals I used Berger 215gr Hybrids, Fed 215 LR magnum primers, and a stout load of Hodgdon H4831 SC. This drives the 215s at around 2910 FPS. If that sounds fast, remember I’m using a a 32″-long barrel. Q: Can you tell us about your chamber and your fire-forming process? 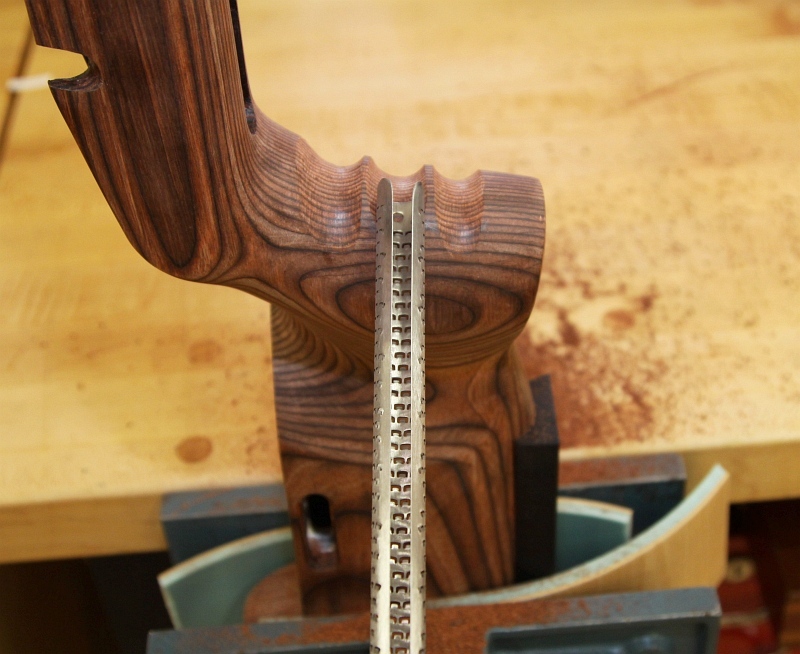 Shiraz: On the .300” WSM [I run] a tight-neck .336” chamber for turned necks. Basically, I fire-form all my brass in a fire-form barrel and save the good barrels for matches. Gordy is so good that he can chamber different barrels to within .0002” in the headspace dimension. That way I can have several same-caliber barrels and can use the same brass for all those barrels. I use a .0005″ shoulder bump for my brass. I load the bullets so that the bearing surface sits above the doughnut ring. Q: Do You Think Tuners Will Become Popular in F-Class? Shiraz: Tuners are a double-edged sword. 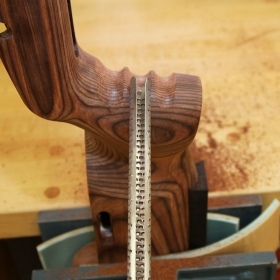 In order to use them most efficiently you need to load test the barrel in many different conditions and record the results, fine tuning and turning the dials to find the best harmonic of that barrel in a given condition. When you encounter a similar condition at a match to what you tested previously, you would look up your notes and turn the dials so that it matches your tested condition. I am over-simplifying this, as it is quite complex and there are many articles about tuners. I do not see tuners catching on in F-Class as 99% of the users would not want to go through the aggravation. 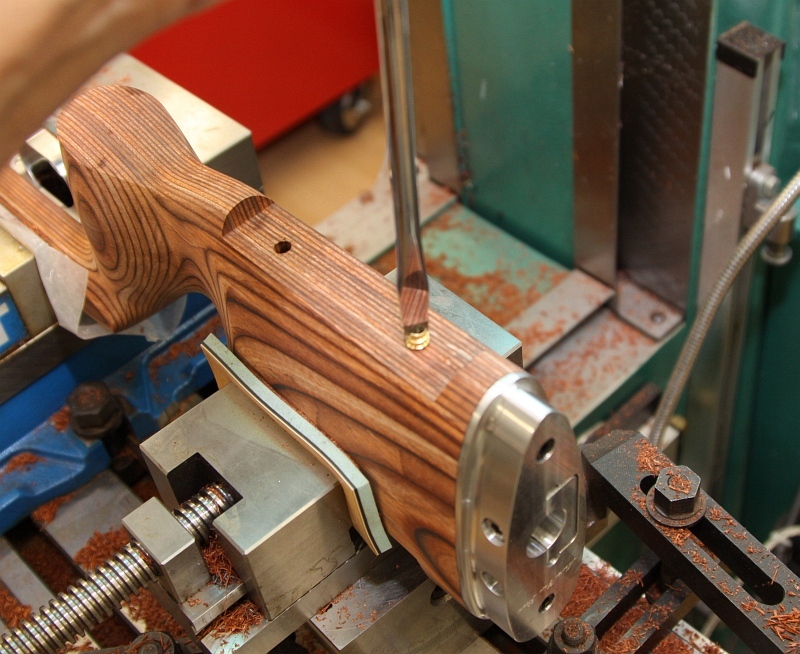 Q: The stock looks highly customized. What special work did you do? Shiraz: The stock is a Master Class F-Class stock that was highly modified by me. I channeled out the fore-end so the stock would ride on two “rails” on the front bag and not rock. 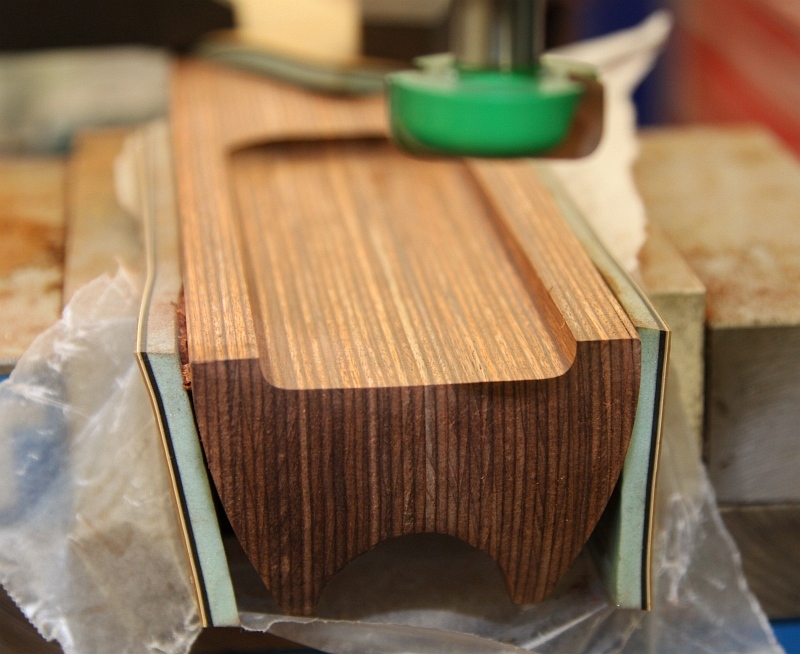 I also added a wide 1.25″ base on the bottom of the stock that rides on the rear bag. There is a matching rear bag with a wide slot in it. The gun slides back and forth nicely and is very stable. 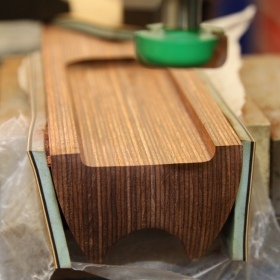 I wanted finger grooves that fit my hand so I carefully filed those by hand with a round file, making sure to fit it many times during the process. Once all the modifications were complete I sanded and sprayed the stock with clear UV lacquer. My UV booth cures the spray in minutes. I usually assemble the gun the same day I spray it. As you know, I build guitars as a hobby as well. Share the post "Match-Winning Rifle: Shiraz Balolia’s .300 WSM F-Open Rig"
The current political climate has caused extremely high demand on all shooting industry products, including ours. Empty retail shelves, long back-orders, and exaggerated price increases on online auction sites – all fueled by rumors and conjecture – have amplified concerns about the availability of ammunition and firearms-related items. Q: Have you stopped production, or has the government forced you to stop? Q: Did you stop selling bullets so you could only make loaded ammunition? Q: Since we can’t find your product you must be selling it all to the government. Hornady: Nope, less than 5% of our sales are to government entities. Q: Why can’t you make more? Ramp up production? Turn on all the machines? Hornady: We’ve been steadily growing our production for a long time, especially the last five years. We’ve added presses, lathes, CNC equipment, people and space. Many popular items are produced 24 hours a day. Several hundred Hornady employees work overtime every week to produce as much as safely possible. If there is any question about that — please take a tour of the factory. You’ll be amazed at what you see. Bottom Line — We are producing as much as we can; much more than last year, which was a lot more than the year before, etc. No one wants to ship more during this time than we do. Share the post "Hornady Talks about Supply and Demand"
Registration has just opened for the 2013 CMP Junior Summer Camps. This year there will be camps in Anniston (AL), Camp Perry (OH), Phoenix (AZ), and Colorado Springs (CO). These summer camps fill up quickly, so if you know a young shooter who wants to attend, be sure he or she submits an application soon. Most of the camps cost $230.00 for the week. For additional info, contact Sommer Wood, CMP Junior Rifle Camp Director, by emailing swood [at] odcmp.com. Each summer the Civilian Marksmanship Program (CMP) sponsors a popular series of Junior Air Rifle Camps and Clinics to teach intermediate and advanced rifle marksmanship skills to junior shooters and their adult leaders. There are eight (8) camp sessions (plus two outreach clinics) scheduled for 2013. The first session starts June 10th, and the last session begins August 5th. Detailed information about the camps and how to apply to attend them are listed on the CMP website. All camp sessions are week-long, 3-position air rifle camps, with the exception of Outreach Clinics and the Advanced Standing Camp. Share the post "Juniors — Register Now for CMP Summer Training Camps"